Using an octane booster within your fuel system will improve the quality of the fuel, which will result in better performance. Some engines respond differently to these additives but if you do not have access to quality fuel, then they are the best option. The best octane booster is the Lucas Oil 10026, which promises three time more boost than any alternative and is safe to use with most gasoline engines. You may notice that some manufacturers clearly state on the bottle that they are not street legal. This is mainly due to the fact it’s a racing formula but there are many alternatives that are street legal and will boost the octane rating. 7.1 Which Engines Benefit Most? 7.3 Street Legal or Not? The higher the octane rating of a fuel will result in a higher resistance to knocking. Therefore it is safer when running lean, which will allow some vehicles to extract more power from the higher octane fuel via an adaptive ECU. There is a common misconception that by simply pouring the additive into the fuel tank will instantly increase the horsepower, which is simply not the case. Octane boosters do have other benefits other than performance increases. These include improving stability, cleaning the system, improving fuel economy and more. Below is a list of the best octane boosters for gasoline engines that actually work. Lucas Oil is a brand that needs know introduction when it comes to automotive additives. They produce a wide variety but when it comes to an octane booster, this additive is their best performer. They claim that it offers three times more boost than most other brands, which is an impressive accomplishment. Although this octane booster comes with all these excellent benefits, it is technically not street legal due to its being a racing formula. However, this is very much a gray area when it comes to mixing it with your gasoline within your fuel tank. 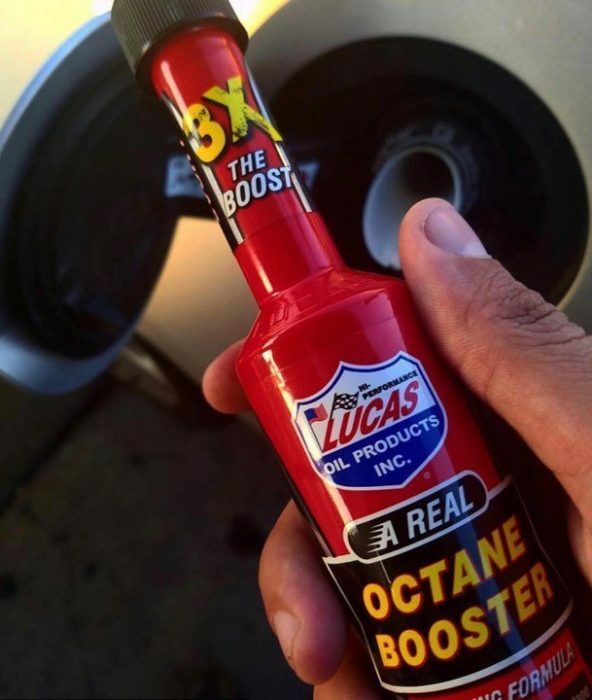 Overall, the Lucas Oil Octane Booster is one of the most effective methods of raising the octane rating but not being street legal may put off many people. Royal Purple is a brand known for producing performance oil and their octane booster is a popular option for many. The brand claim that this racing formula will raise the octane by 30 points or 3 numbers with each 16 oz bottle treating 25 gallons. Both this octane booster and the Lucas Oil claim huge octane rating gains and are both very similar formulas. Royal Purple MAX BOOST does have the slight advantage as it is suitable with more engines. However, you do have to pay a premium for this booster, which may not be viable for some drivers. Another popular booster is the 104+ that has been the original octane booster since 1975 and has been proven in many tests. Each 16 oz bottle of the additive will treat up to 18 gallons fuel, which may seem low but it is far cheaper than the alternatives. Although it doesn’t raise the octane rating by as much compared to the alternatives, it is however far cheaper. This makes octane booster to try for increasing the octane slightly because not everyone requires a racing formula. BOOSTane is a street legal octane booster that claims to raise the octane rating of your fuel to as high as 100. They do offer a non-street legal alternative for those looking for a better solution, which will effectively raise the octane rating to 116. Overall, it is the best street legal octane booster, which is ideal for those that worry about the laws surrounding legality. It is also great for regular usage with a mixing chart printed on the can for mixing correctly with your fuel. STP is another street legal octane booster that raises the octane rating and cleans the fuel intake system. 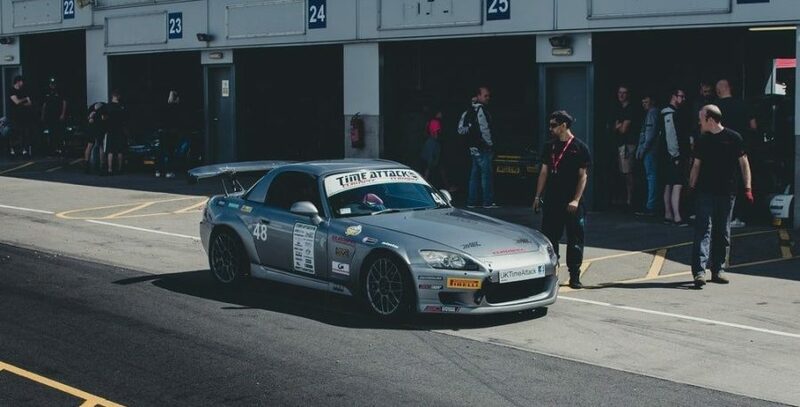 STP produce a range of additives and are well known among car enthusiasts for performing as expected. Although it is not as strong as alternatives, this does mean its safe to use on a regular basis. Overall, the octane booster by STP is an excellent all-rounder that offers great value for money and reliable results. There are many other cheap brands offering additives but not many have the reputation compared to STP. Depending on the type of octane booster you choose will decide on how much they raise the octane rating. Many manufacturers may claim to increase the rating quite significantly, whereas others just use clever marketing with no proven tests. There are a number of proven tests of all the recommendations within this article and we advise that you stick with reputable brands. Using this type of additive is not a magical solution to increase the horsepower on all vehicles. Some engines will respond differently as they may have adaptive ECU’s that can change performance based from the octane rating. To help you make an informed buying decision, we have produced the below buying guide regarding octane boosters. Some engines will respond differently to the usage of an octane booster in the fuel. For example, a small economical 1 liter Honda will not benefit as much as a large turbocharged V8. Engines that require a higher octane or have an adaptive ECU can see huge gains in power, responsiveness and more. However, if you are using an octane booster to reduce knocking, pinging or even for fuel economy, most engines will see benefits. The octane ratings of fuel vary depending upon the gas station that you visit. Every vehicle will have a specific requirement of the octane rating that is requires in order to perform to correctly. According to the official US government source for fuel economy information, most available gasoline at gas stations in the US have an octane rating that varies between 87 to 94. However, if your vehicle requires higher octane fuel, which is not available at the gas station, you can use an octane booster to increase the rating. Without meeting the requirements, the car may knock or ping and potentially cause long term damage. The legality of using an octane booster is very much a gray area. Each manufacturer will state on the bottle to whether it is for racing purposes or for use on the street. Most people will not care but there are many alternatives that are street legal and will boost the octane rating of your fuel. Considering that the octane booster is only available in small bottles, the ingredients used in the formula have to be strong to boost the fuel. Although each formula is different, the majority use the below chemicals within their formulas. MMT – Methylcyclopentadienyl Manganese Tricarbonyl is an environmentally friendly method of raising octane. It does not harm any of the emission control devices and is by far the most desirable chemical but it does come at a cost. Aromatic Alcohols – There are many different types of aromatic and they are all very effective for increasing the octane value. However, they do require large dosages that can be expensive over time. Ferrocene – The more affordable method of boosting octane rating is by using ferrocene but it does come with some side effects. Ethanol – The most popular method of boosting octane for race cars but does require careful usage and is not suitable for everyday cars. Unless you are an octane booster enthusiasts, these ingredients may mean nothing to you. All of the above recommendations within this article are safe to use and contain a mixture of these chemicals. In order to get the best possible results from the octane booster, it is important that you use the correct mixture. Adding too much to a small amount of fuel could damage some components whereas too little may make no difference at all. Most manufacturers will place a chart on the bottle but you may be able to find further information online. For example, the BOOSTane additive have a detailed mixing chart for treating different types of starting octanes. Using an octane booster is not a magical solution to increasing the horsepower of any engine. Some vehicles will respond differently to the octane change as they may have adaptive ECU’s or have a certain octane rating requirement. For areas where you cannot find high quality gasoline, using an octane additive such as the recommendations is the best option. Running your car on lower quality fuel can damage components, reduce performance and increase fuel consumption. We highly advise that you purchase these boosters from a reliable manufacturer as there are many that have not gone through strict testing.